Fall is almost here! As the all-knowing Google tells me, the Autumnal Equinox is this Saturday, September 22. However, when I was talking to my mom the other day on the phone she relayed the same information….”Megan, Saturday is the first day of Autumn.” But what I heard was, “Saturday is the first day of Awesome.” And I replied, “I like that, how long is Awesome?” Anyway, that made for an interesting conversation. But I’d have to say that so far, Autumn is pretty Awesome! Coming from a die-hard Summer Girl that says something. Right now, here in the South it’s still warm (about 80 degrees during the day) and there’s just the slightest chill in the morning. And the air smells great! Yes, I’m aware that sounds strange, but it’s the same way in Spring….then it’s reviving and creating new life….now it’s refreshing after the heat of summer. 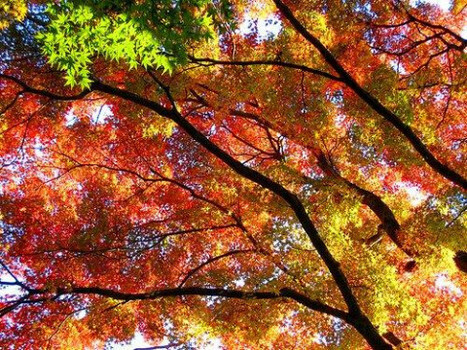 Anyway….I hope that whenever you are you are enjoying the beginning of Autumn! And just as a ‘refreshing’ reminder…we’re here if and when you need us!